Today is Madeleine McCann's 9th Birthday. To remind us all of Madeleine, a new age progressed photo has been released to show what Madeleine might look like aged 9. 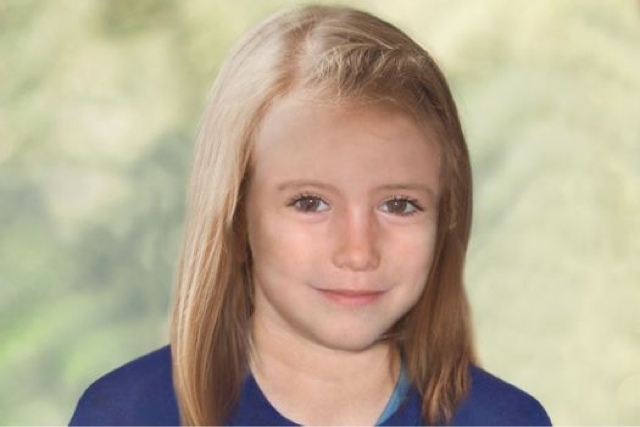 Madeleine has been missing since 2007 and I live in hope that one day she will show up, alive and well after being with a loving family all this time. I hope, today she has enjoyed cuddles, cake and gifts. There have been many unconfirmed sightings of Madeleine worldwide since she went missing just before her 4th Birthday whilst on holiday in Portugal but unfortunately her whereabouts are still a mystery. For more information on Madeleine you can visit the Find Madeleine official website and to report any sightings or information please contact your local police force immediately and Operation Grange on 0207 321 9251 (in the UK) / +44 207 321 9251 (non-UK) Or Operation.Grange@met.pnn.police.uk OR Crimestoppers in confidence on 0800 555111 or www.crimestoppers-uk.org.